Buy: $195.0 Gorham 4 pc. 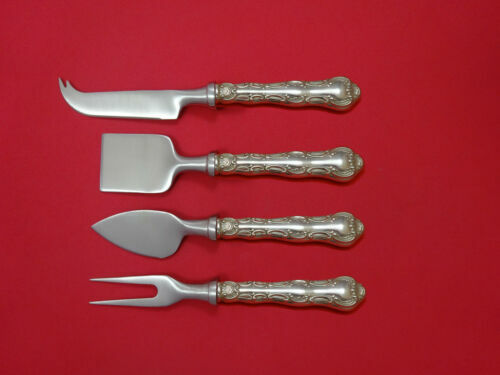 Sterling Luncheon Set: EXCELLENT! $125.0 Set of 8 Gorham Sterling Silver Strasbourg Teaspoons. No monogram. $200.0 Gorham Strasbourg Infant Sterling Silver Porringer and Cup. Excellent condition. $97.95 Gorham Strasbourg Sterling Place Setting 4 Pieces No Monogram. Buy: $279.99 Large Gorham Strasbourg Sterling Punch Ladle - No Mono - 14"
$209.0 Strasbourg by Gorham Sterling Silver Berry Spoon with Scalloped Edge 8 5/8"
$130.0 VINTAGE GORHAM STRASBOURG STERLING SILVER BABY SPOON & FORK MINT IN PACKAGE! $389.0 Strasbourg by Gorham Sterling Silver Petit Four Server FHAS Rare 6"
$222.0 Vtg Gorham Strasbourg YC3130-3133 Silver Plate EP - 4piece Set - Good Cond. 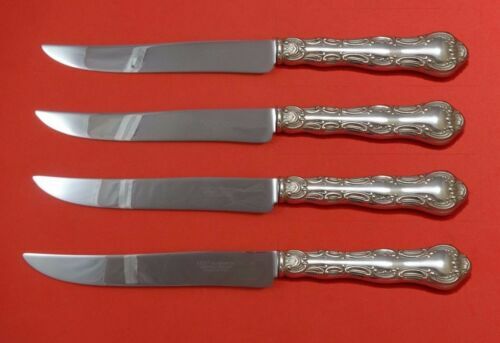 $294.95 GORHAM STERLING SILVER STRASBOURG SALAD FORKS-SET OF 8-VERY NICE!! SHIPS FREE! $289.0 Strasbourg By Gorham Sterling Silver Nut Cracker Silverplate Original 6 3/4"
$309.0 Strasbourg by Gorham Sterling Silver Salad Serving Fork Goldwashed 8 3/4"